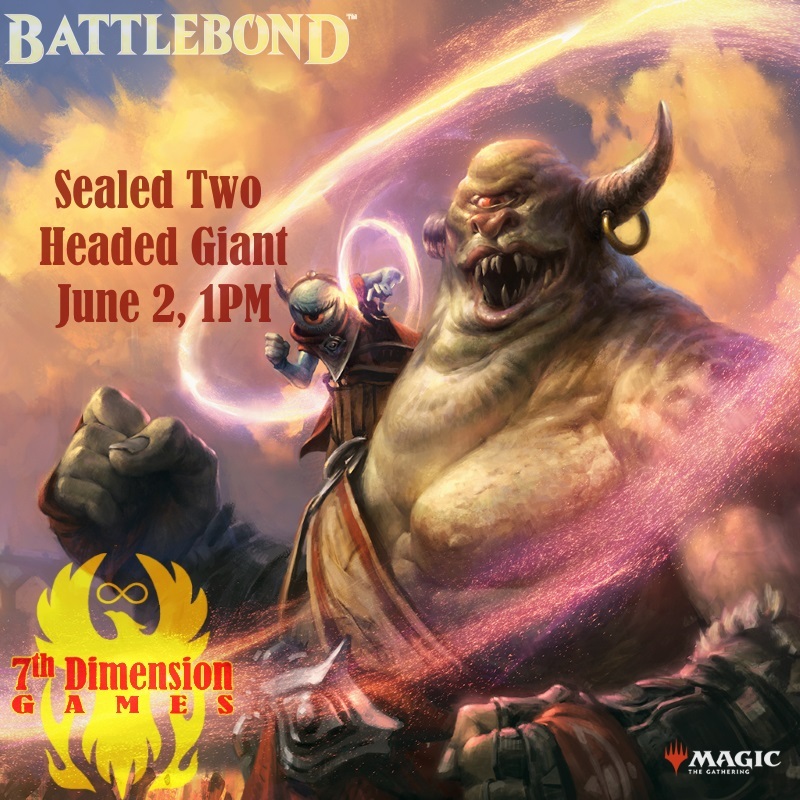 Saturday, June 2, at 1 PM we will be having a Battlebond Preview Event, a sealed Two Headed Giant competition. For $15 a head, you and a partner will get 6 packs to make two decks for your giant. We will be running a 3 round event. Everyone that plays in the third round gets a participation pack. Each round that the giant wins gets both heads a prize pack.